Meizu unveiled a new midrange smartphone called the M5s. 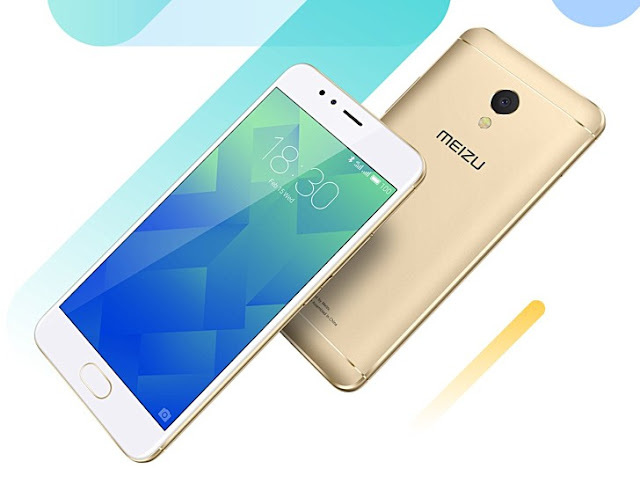 Featuring an anodized metal body, the Meizu M5s packs a 5.2-inch IPS display of 720p HD resolution. It is powered by an octa-core MediaTek MT6753 chipset with 3GB RAM and 16GB/32GB of expandable internal storage. Imaging-wise, the M5s sports a 13-MP primary camera with phase detection auto-focus, an f/2.2 aperture, 5-element lens, and dual-tone, dual-LED flash. In front, a 5-MP selfie shooter can be found. Connectivity-wise, the budget Meizu smartphone comes dual-SIM support and LTE with VoLTE. It also has the mTouch fingerprint scanner. Running the latest version of Flyme OS, the Meizu M5s draws power from a 3,000 mAh battery with fast charging support. The M5s will come in black, silver, gold, and rose gold color options. The 16GB variant will sell for $115 while the 32GB will retail for $145.